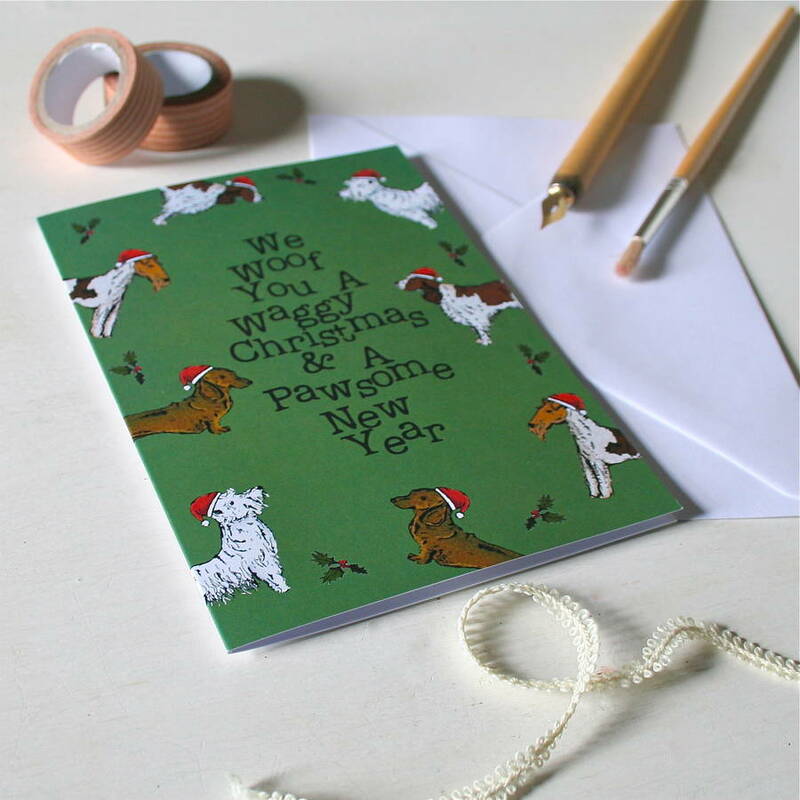 This delightful Christmas card is perfect for dog lovers as it features beautiful drawings of some favourite breeds of dog alongside little sprigs of holly! 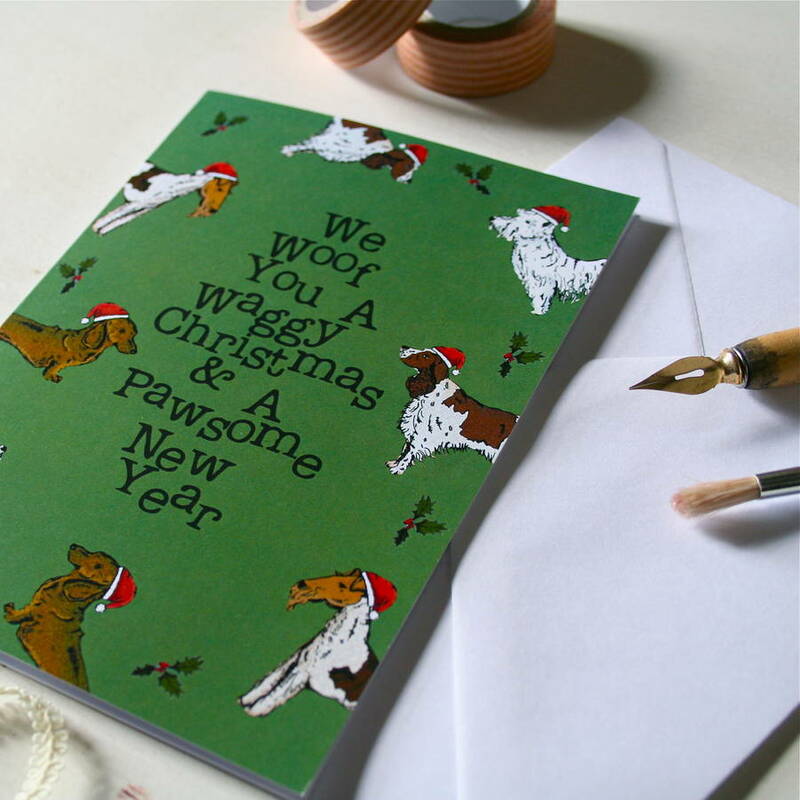 The illustrations on the front are set against a green background along with the words ‘We Woof You A Waggy Christmas & A Pawsome New Year’. The inside is left blank for your own messages. 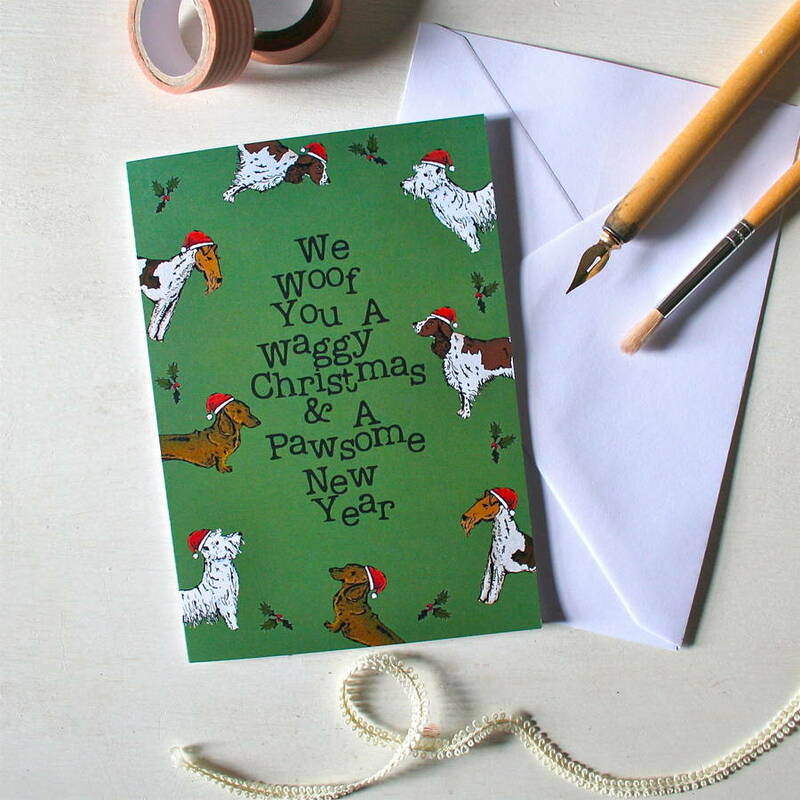 The card features a West Highland Terrier, a Fox Terrier, a Springer Spaniel, and a Dachshund. 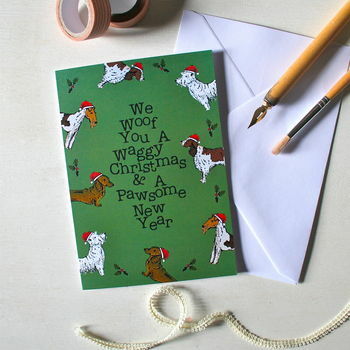 This would be the perfect Christmas card for anyone who loves pets, puppies, and pretty presents! 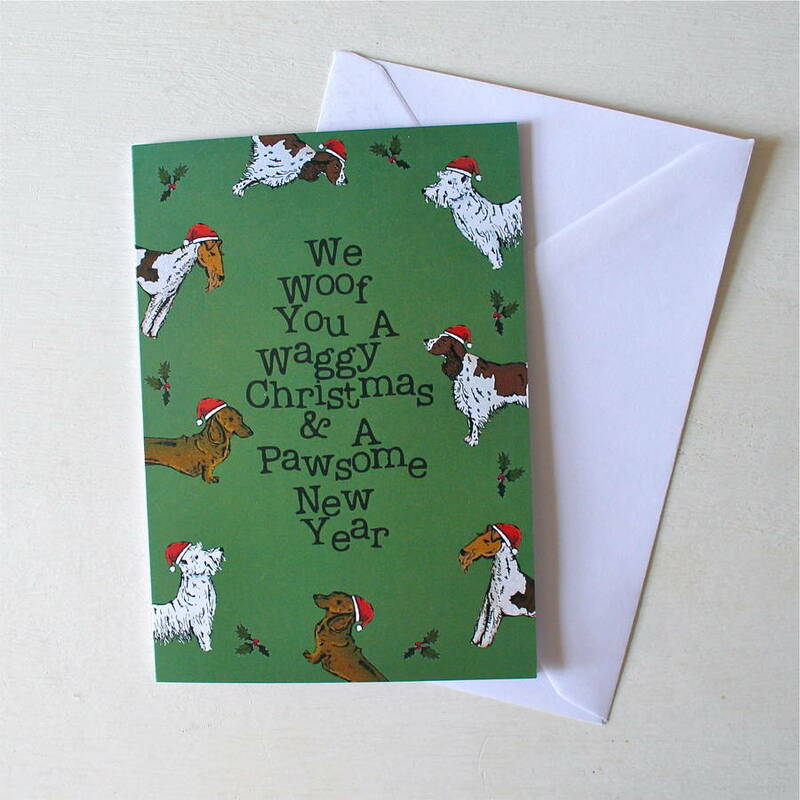 Each card comes with its own envelope. Available individually, or as a set of 6, or as a set of 10. Printed on 220gsm recycled matte paper from my original black ink illustrations. 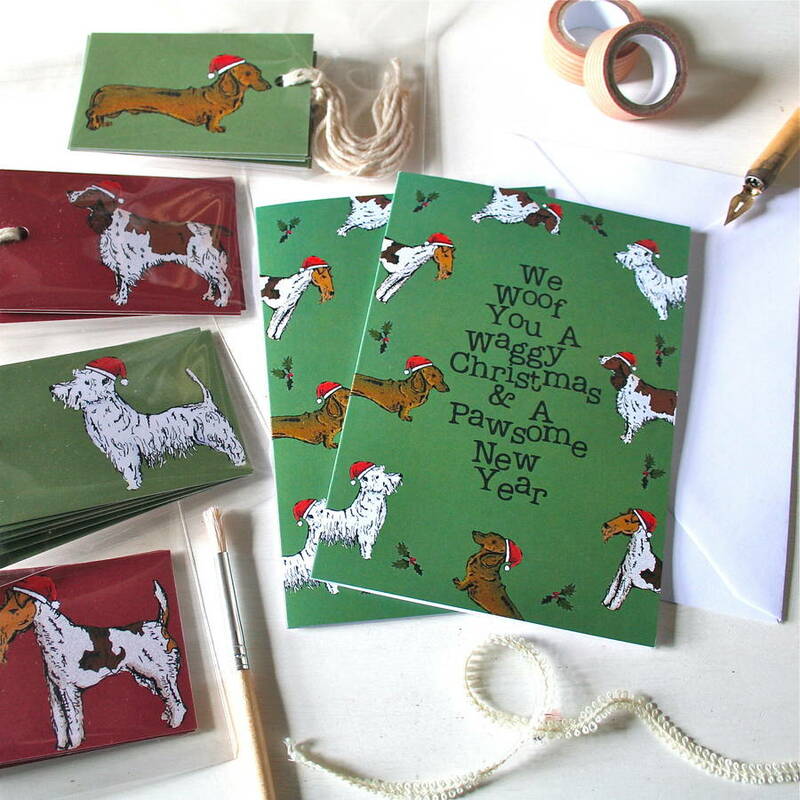 The card will come with its own envelope, beautifully packaged, snug and safe, within cellophane.